“The ex-owner of a boarding school has been convicted of two charges of cruelty and assault against two boys. Derrick Cooper, who ran [Private Catholic School] Underley Hall in Kirkby Lonsdale, Cumbria, had instilled “fear” at the school, his trial at Carlisle Crown Court was told. The 77-year-old, of Hillberry Green, Douglas, Isle of Man, had denied seven charges of assault and one of cruelty. He was cleared by a jury of the six other assault charges and is due to be sentenced on 26 April. 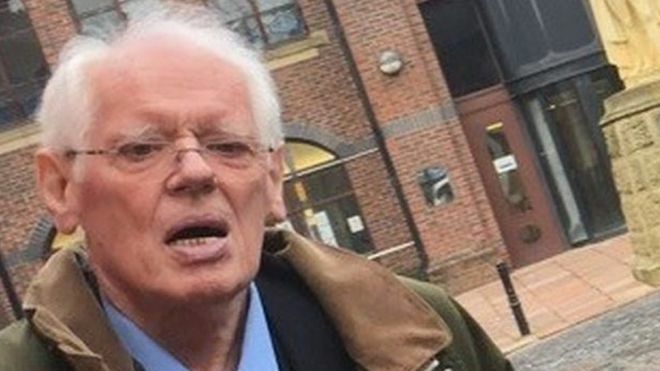 Cooper, who carried out the offences in the 1970s and 1980, was convicted on a majority verdict of assaulting one pupil, who told jurors he had been head-butted. Another ex-pupil told the jury he was subjected to violence in a dining hall which left him covered in blood and he was only allowed to sleep wrapped in a towel in a below-freezing corridor. Jurors found Cooper not guilty of assaults on three boys and acquitted him on a further charge alleging cruelty towards another youngster. During the trial, Cooper had said he had not been responsible for any violent acts at his school for “maladjusted” boys. 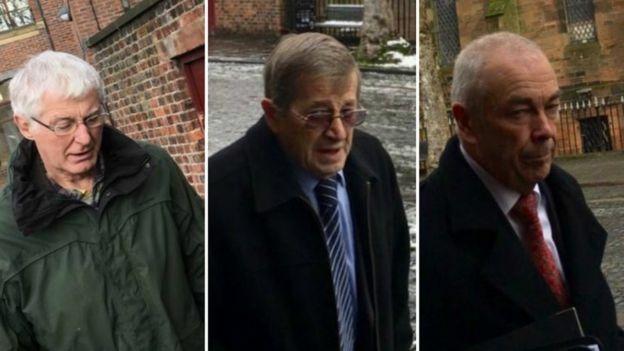 Last week, two former teachers James Farish, 58, of Oakwood, Kendal, and Trevor Taylor, 75, of Lower Park Royd Drive, Sowerby Bridge were cleared of assault.